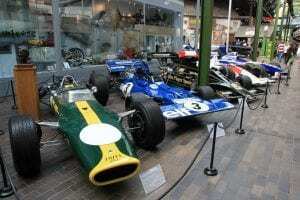 Spend the day at Beaulieu Motor Museum whilst you stay at Cottage Lodge, you won’t regret it. Not only does Beaulieu have an amazing collection of cars, motorbikes and memorabilia but there is also an beautiful Abbey, the main house and rolling gardens to enjoy. Plus, your ticket is valid for a year. So if you don’t see everything on the first visit, you can return. So why do people come from around the world to see the 250+ vehicles at Beaulieu Motor Museum? Edward Douglas-Scott-Montagu, 3rd Baron Montagu of Beaulieu founded the museum as a tribute to his father, one of the greates pioneers of motoring in the UK. In fac the first person to drive a motocar into the yard of the Houses of Parliament. Credited with introducing Kind Edward V11 to motoring in the 1890 ‘s Lord Montagu was a bit of a personality. Passionate about cars he collected some of the rarest automobilia in the world. Today the current Lord Montagu carries on the family passion for all this automotive and has added a Top Gear exhibition along with James Bond cars and many other treasures. Today, in addition to around 250 of the most historically important motor vehicles to have been produced since the late-19th century, including four world land speed record holders, the museum is also home to one of the finest collections of motoring books, journals, photographs, films, and automobilia in the world and is affiliated to the British Motorcycle Charitable Trust. Among its exhibits are Land Speed Record holders: Malcolm Campbell’s 1925 350HP Sunbeam, Henry Segrave’s 1927 Sunbeam 1000 hp and 1929 Golden Arrow, Donald Campbell’s Bluebird CN7. The yellow Reliant Regal van from the BBC 1 TV comedy Only Fools And Horses, the Mini driven by Mr. Bean in the live-action series, the 1962 ‘flying’ Ford Anglia from the Harry Potter film series and a display of James Bond vehicles are also among the exhibits. The World of Top Gear,is great fun. 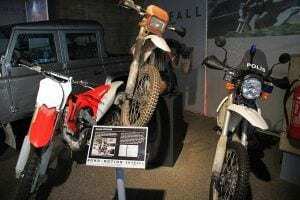 It displays actual cars created by Top Gear presenters Jeremy Clarkson, Richard Hammond and James May for some of their most ambitious challenges on the TV show over the years. The museum also hosts a collection of the well-known Rolls-Royce radiator mascot – the Spirit of Ecstasy – also known as the Flying Lady. The collection features The Whisper, a figurine commissioned by John Walter Edward Douglas-Scott-Montagu to his friend Charles Robinson Sykes who sculpted a personal mascot for the bonnet of his Rolls-Royce Silver Ghost. Sykes originally crafted a figurine of a female model, Eleanor Thornton, in fluttering robes, pressing a finger against her lips – to symbolise the secret of the love between John and Eleanor, his secretary. The figurine was consequently named The Whisper. Additional attractions include a monorail, veteran bus ride, rally-car simulator ride, go-karting rink, playground, restaurant and a substantial part of the Palace House and grounds, including the partially ruined Beaulieu Abbey, providing a full day out. Among the monastery buildings to have been preserved are the domus (now used for functions and exhibitions), and the refectory, which is now the parish church.Step into the adrenaline-fueled world of motor sport. Witness moving displays with an historical evolution of the car itself dating back to the early 1900’s. Tickets for the museum are available to pre-book or purchase on the door. Prices vary but can be found on the Beaulieu Motor Museum website. 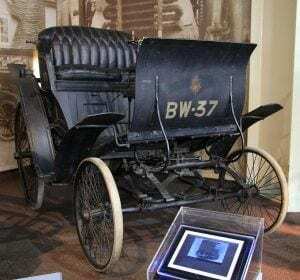 Not only does Beaulieu offer a motor museum but the location itself offers a wealth of historical references. 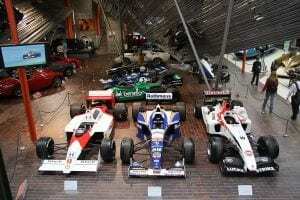 Today, Beaulieu is one of the leading visitor attractions in the UK. Beaulieu’s sister attraction Buckler’s Hard which is surrounded by Beaulieu River is now a natural and sheltered yacht haven. There is plenty to see throughout the place itself. Delve into the history of the New Forest at Beaulieu, which is just a 15 minute drive through the spectacular New Forest National Park from our Hotel.